I've been wanting to use this Memory Box die since I purchased it but just never did. Tonight I played and looooove this die! 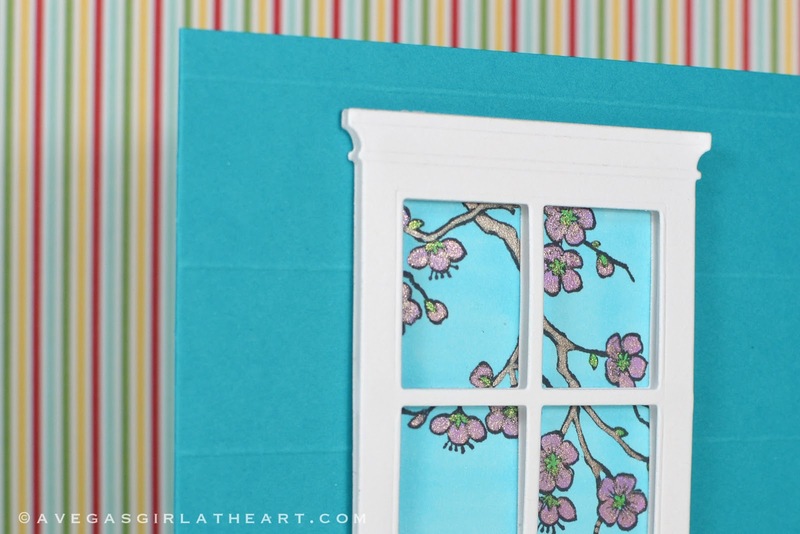 I actually used two die cutouts for the window, to give it a double-paned look. For the "scene" out the window, I used a Copic marker to make a background, stamped my image, and colored it in with Gelly Roll glitter and metallic pens. Perfect! The score lines in the card front were made with my Martha Stewart score board. This is one of those - i can't believe you can make something like that- cards. This is so creative! I'm very, very impressed!